Martyn Beardsley - Mining Occupations, Check Weighman? I wrote to you a few years referring to different members of my family, see below. Would there be any contacts or any Doncaster Miners who would have known of my relation. It might be too long ago but here's hoping. Charles Ernest Wright moved to the Rossington Estate in 1927. I'm certain he worked at the pit but not sure whether he was a Miner or Transported the coal from the Pit. Sometime later he moved to Bawtry where he died in 1992. His wife was Florence Lucy Wright she also died 1992. They had a son Ernest Wright born 1920 so he could have passed away now and I don't know if he had family or if he followed his father down the pit. I’m writing after looking at your website for two reasons my father in law is an examiner but doesn’t take interest in the internet so would anybody from Clifton Colliery, Nottingham remember or have photos of the first Pithead Baths being installed c1960s. I'm a Descendent of the Hartshorne, Hobson, Disney, Stainsbys and Harts of Stanley, West Hallam, and Heanor of whom you have a few articles in Pit accidents. My Grandfather Frederick Elijah Hart (b1890 - d1948) was born in Heanor and worked as a Miner around the area until he moved to Rossington Pit, Doncaster in South Yorkshire, in 1927, for one year with wife my Grandmother Rose Amy Wright. However we think they parted company whilst there. Fred came back, lived Great Northern Road with his children and a Mary Jane Pickard and worked at one of the Eastwood Pits (would that have been Moorgreen?). I think mum said he retired after his Pit Pony kicked out hitting him in the Stomach. With Fred I would like advice as to which Pits he would have worked but with Rose’s family I need the most help. Rose Amy Wright 1902 was born to another Mining Family originally from Wallbrook, Staffordshire. The family moved to Babbington Nottinghamshire 1911 Census. I think William and Ada died in or around Babbington. Don't Know about Alfred. I know Percy Norman Wright stayed around the area of Amber Valley area I think Heanor if anyone knows of the family I would like information. As I said Rose Amy Hart nee Wright moved to Rossington with Fred in 1927 and gave birth to their Youngest Daughter. Two reasons they moved was one, Pit work for Fred, the other was Rose’s older brother Charles Ernest Wright worked at Rossington Pit as well. They lived on the Rossington Estate, Central Drive and Haig Crescent which I found on electoral rolls. Again from records I know Charles stayed in the area, died 1976 but we don't know what happened to Rose and would like to know of any family, if any of the Mining Community could provide information. I worked at Arkwright for approximately 9 years up until its closure in 1988. 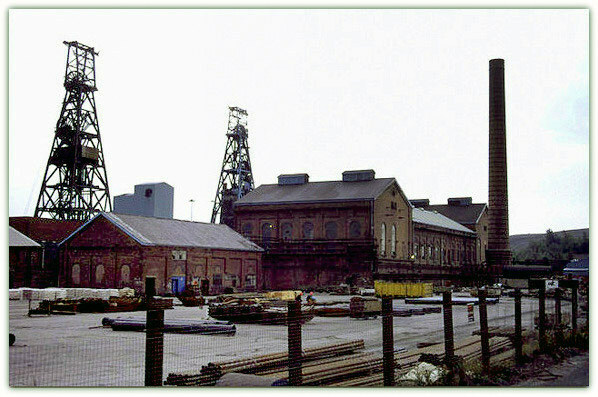 I have an interest in the history of the colliery as well as other collieries in the North Derbyshire area. I am having difficulty finding photographs of Arkwright but I understand that there are photographs available of both the surface and underground and wondered if perhaps you could point me in the right direction. Although it is many years since I worked underground I miss it terribly as there is no industry quite like it and like yourself I have a passion for the industry and would be grateful for any help you could give me. Other collieries that interest me are Glapwell, Renishaw Park, and Markham, all in North Derbyshire as family members were all miners. 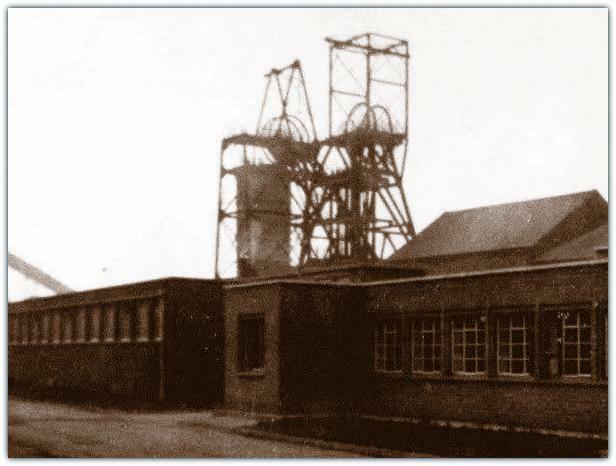 I am currently researching my family history and am trying to find out further information on my Grandfather (James Deakin) who was a miner at Manton Colliery probably sometime in the period between 1939 to 1960. Do you have any records of individual miners who worked there or where I may find any? Unfortunately I do not have any information for James Deakin. There are very few pits that survived that had a list of workmens' names. The individuals we know about are those that were killed or sometimes those badly injured. At Bilsthorpe though where we have a museum behind the village hall, we found a couple of years of wages print outs for all men for 1968 when the pit closed in 1997 and also recovered from a skip the work cards for 95% of the men who worked there from 1927-1997. Very useful indeed and invaluable for such information as you require. 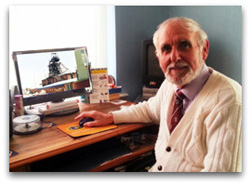 We have been able to help many people who are researching family history like yourself. Only recently within the last month an old colleague clearing out a drawer at home supplied me with a computer printout of the list of all men, check numbers and their jobs etc. from 1989 for Ollerton Colliery where I worked for 15 years as Surveyor for the mine. That pit closed in 1994. There are people out there who may have such information for Manton. It is worth placing an advert in the local paper for Worksop area and in the library for example to see if anyone has such a list or knows of him. Sorry that I can't help further. Hope this information may be of use. My great-grandfather worked at the Wollaton colliery in the late 1800s, and he was a check weighman. I haven't been able to find much out about what this really entailed. I know from an article in the Nottingham Evening Post that when there was a strike he presided over a meeting of miners, but whether this was because of his role as a check weighman or because he also held a union position I don't know. Can you shed any light on the matter? Check Weigher - Mottie or swipe card to register manpower underground and timekeeping. The weigher employed by the workmen. 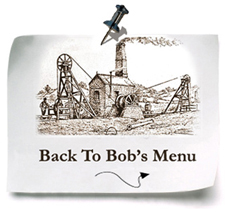 The Coal Mines Regulation Act of 1877 gave the miners for the first time, the freedom to appoint checkweighers. It was a job given to a man who was literate and good at reckoning, usually a union man. He was a man chosen by the miners union to check the weight of each tub of coal raised out of the mine on behalf of the workforce as against the amount registered by the person appointed by the Company. This was to make sure that the amount of coal sent out the pit would be paid for at the rate agreed in the contract and was not 'weighed light' as some unscrupulous companies did. Some companies made the miners produce coal at up to 3,000 pounds to the ton! Whereas there was 2,240 pounds to a ton. The company would argue that should the coal be wet it would weigh lighter when it had dried out. The weight for the empty tub would be deducted from the weight of the full tub giving the amount of coal. Note it was imperative that only coal was paid for and any dirt sent out was not. Prior to the National Coal Board from 1st January 1947 occasionally a tub was tipped over and examined and even if a small amount of dirt was found, that tub was confiscated. My experience of the job was at Teversal Colliery in Nottinghamshire even into the late 1950s where coal was still worked on a contract system at each coal face until that face finished. The coal was undercut by machine, bored and fired and loaded onto a face conveyor by a collier using a shovel. The coal then transferred onto the gate conveyor and each tub was loaded from that conveyor at a loading point in that gate and then transported by rope haulage to the pit bottom and loaded onto the cage and wound up the shaft. Each tub would be marked by chalk giving the name or number of the stall or panel and 2 men, one for the men and one for the NCB sat in a cabin near to the top of the shaft and as each tub out of the cage rested on the weighing machine before going to the tippler and onto the screens where dirt was sorted from the coal these 2 men would independently register the amount in their designated book for each panel number and would compare and agree on the total produced at the shift end. When the modern coal cutting loading machines were introduced in the 1950s, such as the trepanner and Anderson shearer, both coal and dirt was loaded out into tubs or mine cars or skips and the job of checkweigher dispensed with. Trusting this will answer your query. Have you come across a mine owned by the Orwin’s, I believe a row of miners homes in Derbyshire was named Orwin Row? My ancestry can be found back to 1744 in Derbyshire, my grandfather Albert Orwin had 15 siblings one of which was William Orwin. Dunston colliery just closed by Orwin was carried on by Thomas Lister the engineer but the enterprise failed and Thomas Cartledge took over but he offered the colliery and effects for sale in Sep 1858.